Levels with the ancient ruins theme often look as if they were once occupied by another civilization. 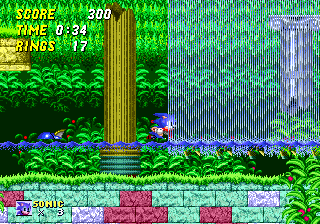 This theme first appeared in Marble Zone and Labyrinth Zone in Sonic the Hedgehog. Common elements include Roman-style pillars, brick walls, secret passageways, and spikes. They often feature natural traps, like lava in Marble Zone, water in Aquatic Ruin Zone, or tar pits in Marble Garden Zone. Pages in category "Levels with an ancient ruins theme"
This page was last edited on 27 December 2017, at 09:35.